A straightforward reading of the biblical genealogies according to the reliable Masoretic text shows that Adam was created about 4000 BC, and this was on the 6th day of creation. The existing copies of the Septuagint and Samaritan Pentateuch are not as reliable, but at most could only stretch this date out to about 5400 BC. 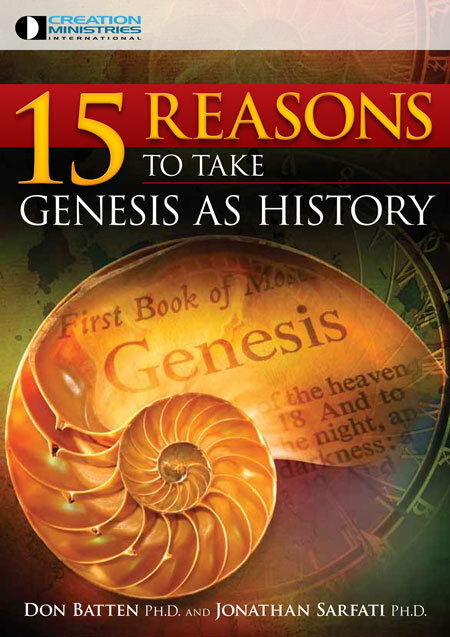 There is no justifiable reason to believe in gaps within the chronogenealogies of Genesis, as the arguments presented for such views are denied by contextual, linguistic and historical analysis. Which text should be used? The Samaritan Pentateuch (SP) is a Hebrew version dating from the 1st century BC. After the Assyrians deported many of the inhabitants of the Northern Kingdom of Israel, they imported colonists to the area centred around Samaria. The Samaritans were mixed descendants of these colonists and Jews. They had their own system of worship centred at Mount Gerizim (John 4:20–21), and based only on the Law of Moses, or Pentateuch, which was slightly different from the one used by the mainstream Jews. The SP differs from the Masoretic Text in about 6000 places. In about 2000 of these cases, it agrees with the LXX against the MT. As shown in table 1, these three give different ages for the patriarchs at the birth of the next one in line and their deaths, but they all agree within less than 1,400 total years for the chronology from creation to Abraham. Biblical chronology should be based on the Masoretic Text, because the other texts show evidence of editing.3 For example, The Septuagint chronologies are demonstrably inflated, as they contain the (obvious) error that Methuselah lived 14 years after the Flood. We can define the year of the creation of the world as AM 1 (AM = Anno Mundi = year of the world). Adam died in AM 930, Noah was born in AM 1056, and the Flood occurred 600 years later, which was in AM 1656. Abraham was born when Terah was 130, 352 years after the Flood, in AM 2008. 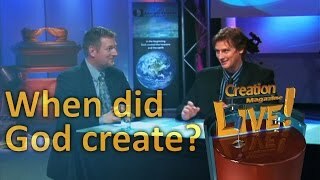 This narrows down the possible range for the date of creation. The only reason for the uncertainty is the dating of Abraham, and that depends on the dates of the sojourn in Egypt and the dates of the Israelite monarchy. Once this is known, the other dates follow mathematically. The late Dr Gerhard Hasel, who was professor of Old Testament and Biblical Theology at Andrews University, calculated from the Masoretic Text that Abraham was born in about 2170 BC. Thus, the Flood occurred at 2522 BC and creation at 4178 BC.4 Dr Hasel rightly assumed that there were no gaps in the genealogies, as will be justified below. Table 1. Chronogenealogies of the Patriarchs according to different textual traditions. The inclusion of an extra Cainan in the Septuagint is discussed in a later section. Note that Abraham was not Terah’s firstborn. Gen. 12:4 says Abraham was 75 when he left Haran, and this was soon after Terah died at 205 (Gen. 11:32), and the difference (205–75) means Terah was actually 130 years old when Abraham was born, not 70 (Ussher seems to have been the first modern chronologist to have noticed this point). The latter figure refers to Terah’s age when the oldest of the three sons mentioned was born, probably Haran. 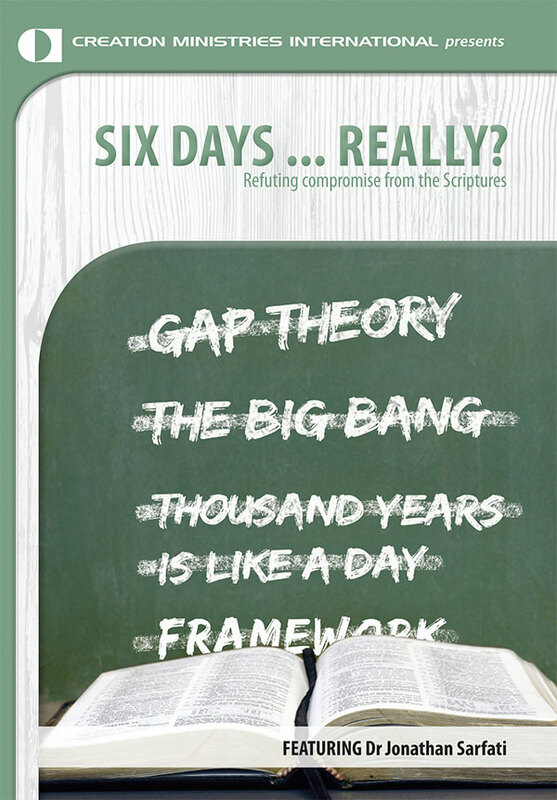 Do the genealogies have gaps? Barr, consistent with his neo-orthodox views, does not believe Genesis, but he understood what the Hebrew so clearly taught. It was only the perceived need to harmonize with the alleged age of the earth which led him and people like him to think anything different—it was nothing to do with the text itself. The Jewish historian Josephus (AD 37/38–c. 100), in his Antiquities of the Jews, also presents a chronology that has no hint of any gaps. This is significant since this indicates that the Jews of his time never saw any. The names and ages in his writings show that Josephus mostly used the LXX. ‘This calamity [Flood] began in the 600th year of Noah’s government [age] … Now he [Moses] says that this flood began on the 27th [17th] day of the forementioned month [Nisan]; and this was 2,656 [1,656]7 years from Adam, the first man; and the time is written down in our sacred books, those who then lived having noted down, with great accuracy, both the births and dates of illustrious men. This comes from ‘Book 1, containing the interval of 3,831 years: From the creation to the death of Isaac.’ Once more, this rules out any gaps or long creation days. To demonstrate that the quotes of Barr and Josephus are not merely the fallacy of Argumentum ad verecundiam (appeal to authority), following is some exegetical evidence for the tightness of the chronology. Ross also points out that the Hebrew word ’ab (father) can mean grandfather or ancestor, while ben (son) can mean grandson or descendant.14 But Ross again errs by unwarranted adoption of an expanded semantic field.14 I.e. the fact that these words can have these meanings in some contexts does not mean they can have these meanings in any context. The Genesis 5 and 11 genealogies say that X also ‘begat sons and daughters’, implying that Z is likewise a son of X in this specific context. Where can the ‘gaps’ be inserted? Seth: Seth is definitely a direct son of Adam and Eve, and seen as a replacement for Abel, killed by Cain (Genesis 4:25). Enosh: must be a son of Seth, because Seth named him (Gen. 4:25). Enoch: Jude 14 says Enoch was seventh from Adam, which indicates straightforward father-son relationships from Adam to Enoch. Noah: Lamech named him, so Lamech must be his father, not just an ancestor (Gen. 5:29). Shem, Ham and Japheth were definitely ordinary sons of Noah, since they accompanied him on the Ark. Arphaxad was plainly a son of Shem, because he was born two years after the Flood (Gen. 11:10). Abram, Haran and Nahor were Terah’s ordinary sons, since they journeyed together from Ur of the Chaldees (Gen. 11:31). Methuselah: Enoch, a pre-Flood prophet (Jude 14), gave his son a name meaning ‘when he dies it shall be sent’, and the Masoretic chronology without any gaps would place his death in the year of the Flood. ‘[T]he name Methuselah could mean one of two things. Therefore, it will either mean “man of the spear” or “when he dies it shall be sent”. The debate is not over the second part of the word which, in Hebrew, is shalach; and shalach means “to send”. While the concept of sending is the primary meaning of shalach, it has a secondary meaning of being thrown or cast forth in a context where the sending is with heavy force or speed. On that basis, some would conclude that shalach would mean either “missile” or “dart” or “spear”. However, that is a derived meaning because the primary meaning of shalach is “to send”, as any lexicon shows. ‘Ultimately, how one deals with shalach depends on how you deal with the first part of the word, which has the two Hebrew letters spelling mat. Based upon the root, then the meaning would indeed be “man”. Hence, commentaries conclude that it means “man of the spear” or “man of the dart”. However, the use of the term “spear” or “dart” is not the meaning of shalach in any lexicon that I know of. It is simply a derived meaning going from sending to throwing to trying to make a specific object. If mat was intended to mean man, if one was to keep it strictly literal, it would not mean “man of the spear” or “man of the dart”, but “a man sent”. ‘The second option for mat is that it comes from the root that means “to die”. Furthermore, the letter “vav” between mat and shalach gives it a verbal force. That is why I prefer to take it strictly literally, using the root “to die” and literally it would mean “he dies it shall be sent”. It’s important to note that those who wish to extend the times between creation, the Flood and Abraham to fit their geological interpretations need far more than just a few missing names. Normally, people want to push the Flood right back, and since the Genesis 11 chronologies are the ones that link the Flood to Abraham, these are the ones that must be ‘expanded’. 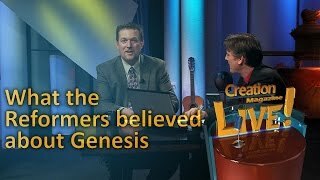 Ross ‘dates’ the Flood to ‘between twenty thousand and thirty thousand years ago’.19 But since the Genesis 11 people had sons at age 35 or less, to add even 10,000 years would take over 250 missing generations! One must wonder how a genealogy could miss out all these without any trace. And since many of the names that are mentioned include no trace of any deeds or sayings by them, why would the writer bother to mention these when so many others had been omitted? Ross also points out that Luke 3:36 has the extra name Cainan, which is not mentioned in Genesis 11:12.14 He uses this to claim, in effect, here’s one proven gap, so there’s nothing to prevent unlimited multiplication of gaps. The extra Cainan in Genesis 11 is found only in manuscripts of the LXX that were written long after Luke’s Gospel. The oldest LXX manuscripts do not have this extra Cainan. The earliest known extant copy of Luke omits the extra Cainan. This is the 102-page (originally 144) papyrus codex of the Bodmer Collection labeled P75 (dated between AD 175 and 22522). Josephus often used the LXX as his source, but did not mention the second Cainan (see above). Julius Africanus (c. AD 180–c. 250) was ‘the first Christian historian known to have produced a universal chronology.’ In his chronology, written in c. AD 220, he also followed the LXX ages but once again omitted this mysterious Cainan. Now that the extra Cainan is shown not to have been in the original manuscripts, it is helpful to try to plausibly reconstruct how the error crept into the copies. Note that the Greek New Testament was originally written without punctuation or spaces between words. So Luke 3:35–38 would have been originally written as in Figure 1a. In this manuscript, TOYKAINAN (the son of Cainan) could have been on the end of the third line. But suppose an early copyist of Luke’s Gospel was copying the first line, but his eyes glanced at the end of the third line at TOYKAINAN. Then he would have written it on the first line as well (Figure 1b). In English, keeping the same line formatting, and with italics indicating words added by the translators which were understood in the Greek, the passage makes sense (Figure 1c). So if a copyist of Luke’s Gospel is responsible for the error, why is it in the LXX as well? As shown, it is not in the earlier copies, so must have been added later, by a copyist who wanted to bring it in line with Luke. And further supporting evidence comes from the fact that the ages of ‘Cainan’ at the birth of his son and at his death are identical to the dates of Shelah, the next one in line. This is not surprising—the copyist is confronted with the extra name in Luke, but this provides no ages. So all the copyist can do to maintain the pattern is to repeat the ages of the next patriarch. 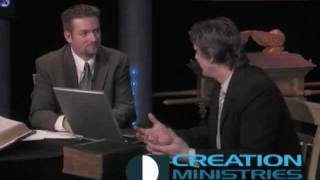 The doctrine of biblical inerrancy is not affected in the least by the Cainan difference. As shown, it is not an error in the original autographs of Scripture, but one of the extremely few copyist’s errors in the manuscripts available today. Figure 1. The above graphic shows how the name of Cainan may have been inserted into later versions of Luke 3:36. A straightforward reading of the biblical genealogies from the reliable Masoretic Text shows that Adam was created about 4000 BC and that the Flood occurred around 2500 BC. Contextual, linguistic and historical analyses of the book of Genesis confirm that the chronogenealogies are a complete record with no gaps. Creationists who wish to push back the date of the Flood and Creation to fit their geological or archaeological theories have no grounds to do this based on the biblical record. They should rather look to their scientific theories to see where the discrepancies lie. Archer, G.L., Jr, Encyclopedia of Bible Difficulties, Zondervan, Grand Rapids, p. 40, 1982. Return to text. Gleason Archer makes this point (Ref. 1). Return to text. 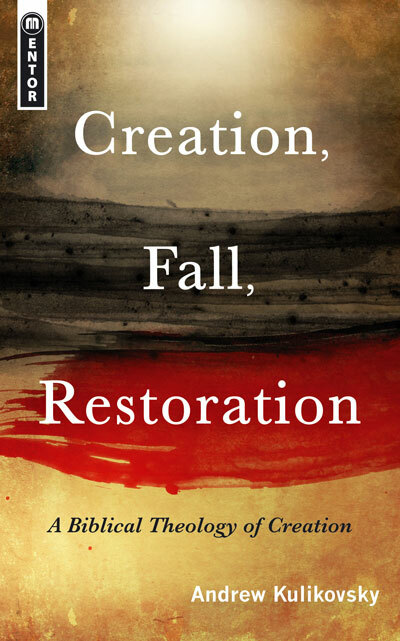 For a defence of the Masoretic Text vs. the altered Septuagint (LXX), see Williams, P., Some remarks preliminary to a biblical chronology, Journal of Creation12(1):98–106, 1998. Return to text. Hasel, G.F., The meaning of the chronogenealogies of Genesis 5 and 11, Origins 7(2):53–70, 1980. Return to text. Young, D.A., Christianity and the Age of the Earth, Zondervan, Grand Rapids, p. 19, 1982. Return to text. Bracketed dates refer to the Masoretic Text. Return to text. Josephus, Antiquities of the Jews 1(3):3–4; in: Whiston, W., tr., The Works of Josephus, p. 28, William P. Nimmo, Edinburgh, n.d.; numbers rendered into numerals. Return to text. But see note ii, Table 1. Return to text. Josephus, Antiquities of the Jews, 1(6):5, in Whiston, Ref. 8, p. 32. Return to text. 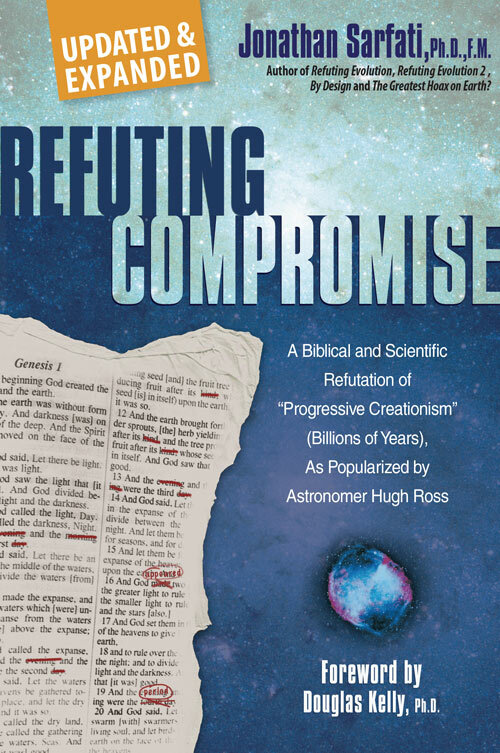 Ross, H., The Genesis Question, Navpress, Colorado Springs, 2nd Ed., p. 108–109, 2001. Return to text. Ross, Ref. 11, p. 109. Return to text. Hasel, Ref. 4. Return to text. Carson, D.A., Exegetical Fallacies, Baker Book House, Grand Rapids, 2nd Ed., p. 60, 1996. Return to text. Hasel, Ref. 6. Return to text. Josephus, Jewish Antiquities, Books I–IV, Harvard Press, Cambridge, p. 73, 1930, Loeb Classical Library No. 242. Return to text. Young, R., Analytical Concordance to the Holy Bible, 1879; 8th Ed., Lutterworth Press, London, p. 210, 1939. Josephus calculated the creation date at 5555 BC, because he used mainly the inflated figures of the LXX (5508 or 5586 BC). Return to text. Fruchtenbaum, A.G., personal communication, 7 November 2000. Return to text. Ross, Ref. 11, p. 177. Return to text. Sarfati, J., Cainan of Luke 3:36, Journal of Creation 12(1):39–40, 1998. Return to text. Sarfati, J., Cainan: How do you explain the difference between Luke 3:36 and Gen. 11:12? Return to text. Geisler, N.L. and Nix, W. E., A General Introduction to the Bible, Moody Press, Chicago, revised and expanded, pp. 390–391, 1986. Return to text.